This page also describes how to install a self-signed certificate. A self-signed certificate is a good choice for a staging or development environment where you want to test SSL features, but aren't ready to purchase an SSL certificate. 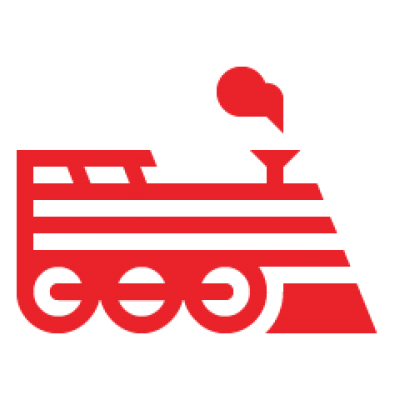 Engine Yard supports single-domain and wildcard-domain certificates. Get a single-domain certificate if you anticipate having one application running on one domain address. If you use sub-domains, then you'll need a wildcard-domain certificate. Note: Not all vendors include the root domain (e.g. mydomain.com) in the wildcard-domain certificate. Note: There is a limit of 20 SSL certificates per region, per account. If you need more than this, contact Engine Yard Support. During one rewrite, we found the original key was 1705 bytes long and the rewrite was 1679 bytes long. The difference came from the hex code, not just spacing or EOL's. After the rewrite, the certificate was accepted (using the sslcert.new) by Amazon. The workflow described on this page assumes that you have chosen a vendor to host your SSL certificate. Important! The key file cannot have a passphrase associated with it. If you have already generated a key file with a passphrase, see Removing a passphrase from a key file below. Open a UNIX shell, for example, by SSHing into one of your Engine Yard Cloud instances. This creates a key file (mydomain.com.key) without a passphrase. Generate a signing request file. b. Important! Make sure to enter your domain name for the Common Name. For example, mydomain.com. Engine Yard convention for wildcard domains is to prefix the key file name with an underscore. This creates a key file (_.mydomain.com.key) without a passphrase. b. Make sure to enter your domain name (e.g. *.mydomain.com) for the Common Name. Now that you have the key file and the certificate signing request file, you can purchase your SSL certificate. Always use a plain text editor like Notepad on Windows or equivalent on Mac or Linux to copy and paste the contents of the key file and the certificate signing request files into the form fields. If Nginx is not available as a server type, choose Apache. Make sure to get a CRT file from the vendor. To add an SSL certificate to your Engine Yard account, you need your key file, the CRT file from your vendor, and if your vendor provided one, the certificate chain file. Note: If you are testing the SSL features in a development or staging environment, see Install a self-signed certificate. If your key file contains a passphrase, see Remove a passphrase from a key file. In your Dashboard, select SSL Certificates from the Tools menu. The SSL Certificates page appears. The Create New SSL Certificate page appears. If you have access to more than one Engine Yard account, select an account. Enter a name in the SSL Certificate Name field. In the SSL Certificate text box, paste the contents of the CRT file. The SSL certificate must be in the pem format. If your vendor did not provide it in the pem format, use a conversion tool such as SSL Shopper to convert the SSL certificate. In the SSL Certificate Key text box, paste the SSL Certificate Key. If you have a certificate chain file, paste it into the SSL Certificate Chain field. After you've configured your SSL Certificate, tell Engine Yard Cloud which environment to use it in. In your Dashboard, click the application environment that you want to add the certificate to. Click Assign SSL Certificate to app_name. From the SSL Certificate drop-down, select the certificate. Each time you build an application instance for this environment, the certificate is added. Deploy the application with the SSL certificate: Click Apply. After deploying your application, Engine Yard recommends that you verify your SSL certificate using a site like SSL Shopper. Navigate to an SSL certificate checking site such as SSL Shopper. The site checks your certificate and all chain files involved. Use a self-signed certificate when you want to test out SSL features in a development or staging environment. For general information about self-signed certificates, see this article about self-signed certificates in Wikipedia. Enter your domain name in the SSL Certificate Name field. Click Generate Self-Signed SSL Certificate. Follow the steps in Apply the certificate to an application in an environment to add the certificate to an environment. If your key file contains a passphrase, you need to remove it before entering the key file on the SSL Certificate page. Locate your key file and look at it to see if it contains a passphrase. Enter the original key's passphrase when prompted. If your SSL certificate expires, you will need to renew it. Send the new CSR to your certificate vendor. Your vendor gives you the new certificate. Install the new certificate in your Engine Yard account using the instructions in the Install an SSL certificate in your Engine Yard account section of this document. Apply the certificate to your applications using the instructions in the Apply the certificate to an application in an environment section of this document. This table contains troubleshooting tips. I applied an SSL certificate and clicking Add Certificates throws no errors, *however* the certificate does not appear installed (or the old certificate is still in place) and Nginx is not restarting. Ensure that your key file does not use a passphrase; see How to remove a passphrase from a key file). Then you can paste the key file into the SSL Certificate Key text box; see Install an SSL certificate in your Engine Yard account. It's not clear at all what should be done with the certificate from the vendor and the key creation, etc. That may because of my lack of experience, but a bit more clarification would go a long way. After installing a certificate, does the application respond on http port 80 and on https port 443 or just the latter. My hope is that it supports both simultaneously. Are steps beyond those outlined above required to make it respond on both ports? Your application master will listen on both ports 80 and 443. You should not require any further action to make your application available on both ports. b. Make sure to enter your domain name (e.g. mydomain.com) for the Common Name. Should that not be *.mydomain.com ? Hi Jay. You're correct, it should be *.mydomain.com. I will update the doc. We have a Thawte wildcard certificate that covers all subdomains EXCEPT the root. Is it now possible to install multiple certificates on EY? One wildcard and another to secure the root? We are solving our problem by switching to a certificate from RapidSSL which covers both *.example.com and example.com. I have no idea why Thawte couldn't offer that. One thing that caught us out and might be useful to add to the troubleshooting guide, is that if you have a wildcard domain the domain specified should be up to the first . e.g. if your site is at www.sub.mydomain.com then defining the wildcard for *.mydomain.com will throw an incorrect name mismatch when you run it through SSL shopper. When I create the wildcard key and signing request file. Should I copy the files to my other slave instances?